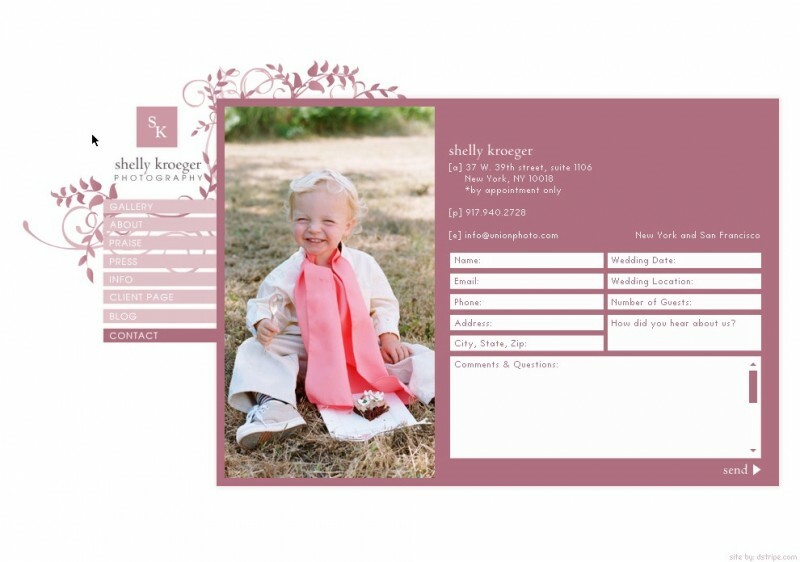 Playful and feminine, pink on white frames Shelly’s wonderful images uniquely. A simple vine flourish decorates just a corner surrounding the logo. 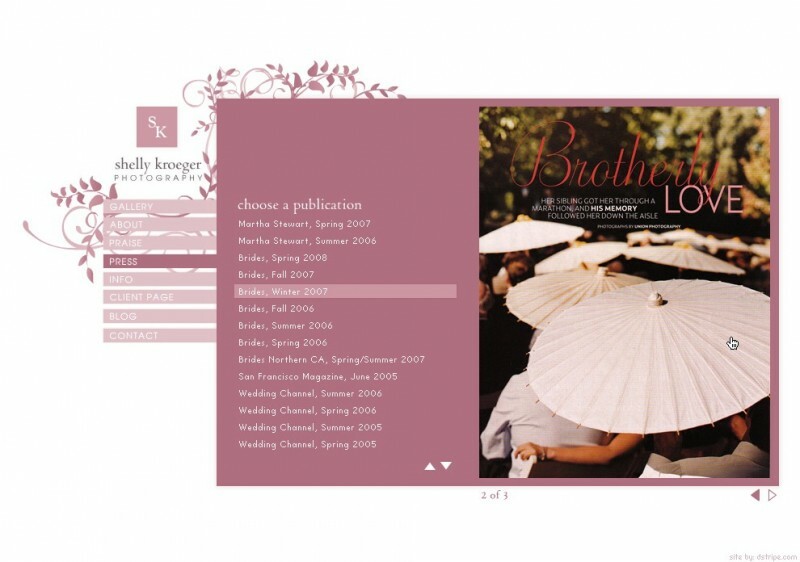 The main menu slides down to reveal gallery choices organized by couple where fantastic composite images tell the story of each couples memorable day. The press section demonstrates Shelly’s extensive published history. Deb was a pleasure to work with. 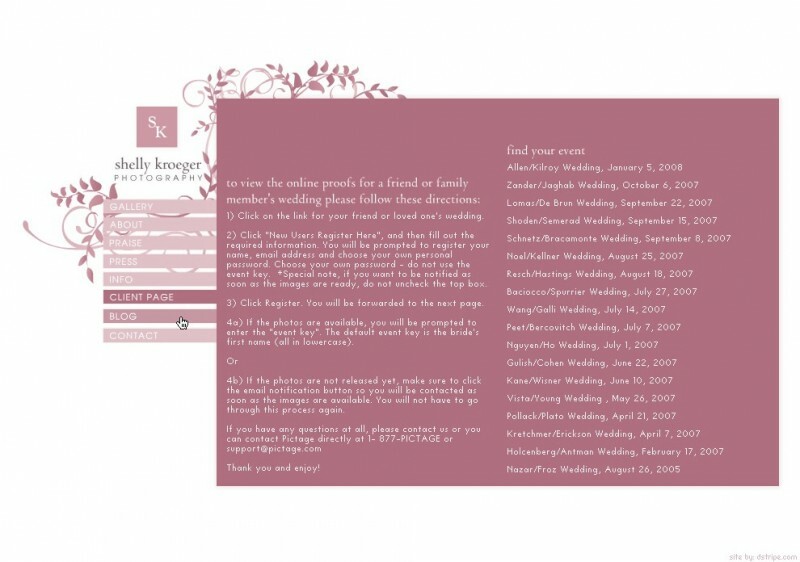 She understood my vision and created a website design that went above and beyond my expectations. 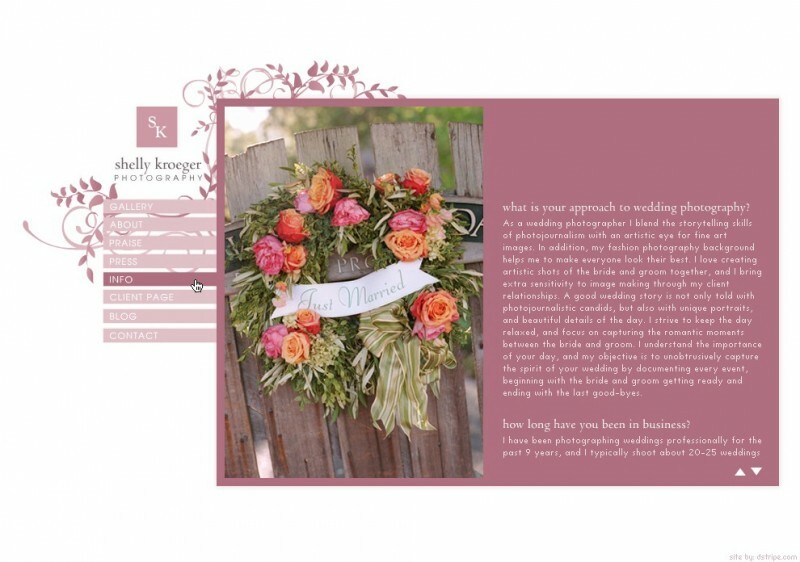 I have gotten so may compliments on my new website, and it has already helped my business to grow.